You might have heard that Disney is releasing a new Star Wars film at the end of this year. You might also have heard that it has tossed out almost all the non-film pre-acquisition content produced under license from Lucasfilm. 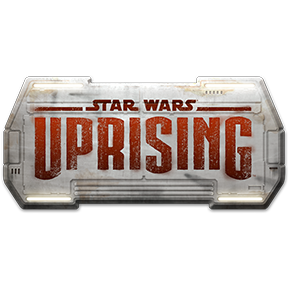 That leaves a lot of gaps in Star Wars canon, but the upcoming mobile game Star Wars: Uprising might get things back on track a bit. It's set between Return of the Jedi and the new film. The game will be an RPG that lets you design your own characters in various classes and go on missions in familiar locations like Hoth and Cloud City. The website only has a few tiny screenshots, but it looks like an isometric top-down game. There will be a strong cooperative element to the online gameplay and an overarching story line that is affected by player activities. There is already voting going on for in-game perks that will be granted to anyone who pre-registers for the game. It should start rolling out to certain regions as a beta test in the next few weeks. As for the cost, Kabam only makes free-to-play games, so it's a safe bet this will be one of those $0.99 - $99.99 per item deals.